We’re willing to bet that when Daniel C and Daniel L met in high school, they didn’t expect to end up running a tailoring business together, but that’s the suit they have to wear. Now both 29, their rallying cry for their month-old app is simple. They’re joining an online shopping trend that is slowly shifting towards making products from scratch specifically for you, while keeping things techy and automatic. They aren’t even the first app to be doing this. A popular brand in the USA called Mtailor asks you to take a picture of your body, and a shirt will come to you in a few days. On the local front, Custom Tribe could even predict a man’s measurements simply from their height and weight. Custlr’s little gimmick? Using an A4 paper. 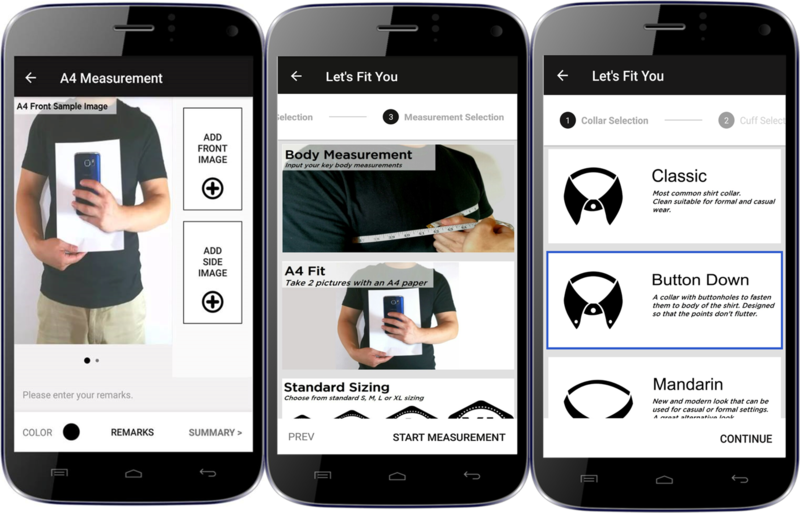 While the app is still able to send you a shirts using the normal sizing system of S to XL, or custom-make clothes based on keyed-in measurements, Custlr has a “lazier” option. As pictured above, placing an A4-sized paper on your body and taking a picture with it is also a measurement option for potential Custlr customers. Once that’s over and done with, the app will save your measurements for any future orders you might want to make. You’ll also notice that this is one step more complicated than Mtailor, but this local option comes at RM79.90. Plus, a cursory glance through local competition Custom Tribe shows that Custlr sells shirts at lower prices, though we haven’t had the opportunity to compare quality or fit. And this RM79.90 price (the cheapest option on their store) encompasses the whole process from order to doorstep. Since the public can understandably be quite skeptical of the idea of measurements using simply an A4 paper, Custlr practices a 100% return policy until it fits. 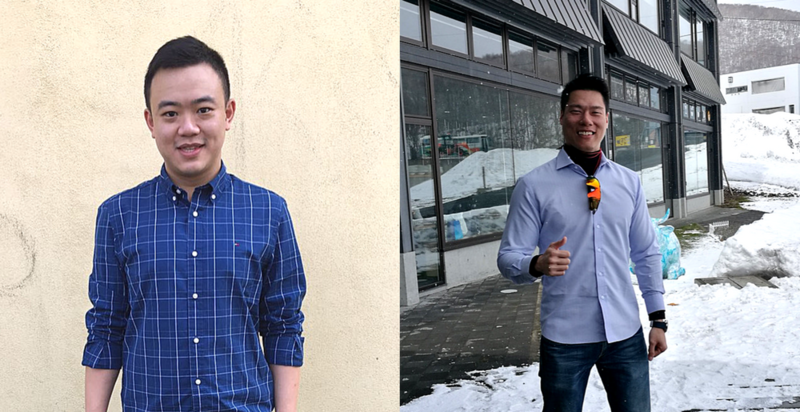 “Relatively speaking, Custlr is the first app in Malaysia that offers tailored wear and a full suite of customisation at the palm of your hand,” said Daniel about the app they’ve spent a year on. The secret to keeping prices low is “crowdsourcing” the labour. Custlr’s Daniel and Daniel leverage off their network to find tailors, who have to undergo training courses before they can start sewing for the brand. This way, Custlr can keep costs low while also being able to be picky about which tailors’ work they like better. And in a bid to ensure that their “supply chain” from measurement to final product is a healthy one, they opened up the tailoring jobs to the unemployed and single mothers. This way, they can keep costs lower than hiring an established tailor—even after training—while also helping the community in a small way. Daniel C informs us that these individuals can look to earn up to RM4,000 a month depending on market demand. He thinks that it’s possible to work exclusively as an independent tailor for Custlr too. 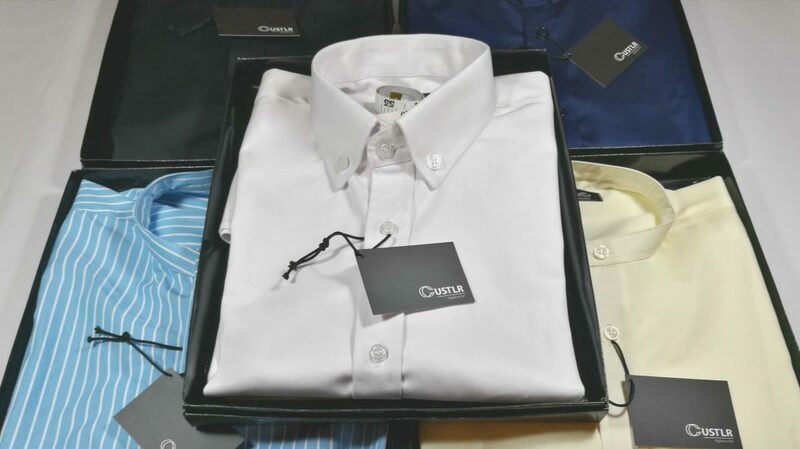 On top of suits and dress shirts, Custlr also has the option to custom make Baju Melayus as well. Only one month old, this startup averages 1 shirt order a day, which is all aligned with their initial projection. Since they spent RM5,000 to build the Android version—the only version available right now to the market—they’re pretty happy with this number. The average market rate for a native Android app usually goes between RM15,000 to RM20,000, according to Daniel. The Daniels developed this in hopes of enhancing usability and convenience for users, which seemed to be a pain point for them in the current iteration of the app so far. And another plan they have in mind to grow the platform? Certainly ambitious for a month-old app. It will be interesting to observe if they’re stretching themselves too thin, or if this is exactly how they can move to stay competitive in an ecosystem that might explode in Malaysia soon, if international circuits are anything to go by. We’ve seen previous startups that started out with many options streamlining their business down the road, and we’re curious to see if Custlr will be able to keep things the way they are now.